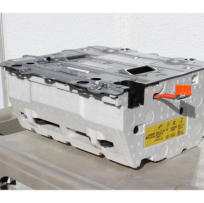 At Bumblebee Batteries, we specialise in providing high-quality replacements for hybrid vehicle batteries. Our BeeMax battery is the perfect match for your Toyota Prius hybrid and is renowned for its power, reliability and longevity. There are many great reasons for investing in Toyota Hybrid cars. These vehicles make your money go further whilst helping you make an excellent contribution to the environment and offer a smoother and quieter driving experience. All Toyota Hybrid cars are automatic too – once you have slotted the gear lever in Drive, you’re ready to hit the road. When batteries run low, excess engine power charges it back up, and energy is recycled whenever you brake. The Toyota Hybrid family of vehicles was first launched in 1997 with the Prius. The vehicles are also noted for their low CO2 emissions and low levels of nitrogen oxides, making them ideal for the environmentally-conscious. Our BeeMax hybrid battery is designed to be the perfect replacement for your current Toyota IMA hybrid battery, whilst offering greater performance than before. This is because the cells have 25% more plate surface area, which results in higher capacity and power output than the original battery. Advancements in technology mean the battery assembly can be wound tighter and that more plate material can be fit into the D-cell battery case. There are also around 50% more weld points between the plates and collectors due to the way the positive and negative collectors have been redesigned. This means you can look forward to experiencing the highest capacity and lowest internal resistance of any IMA battery cell currently available on the market. There are many ways to contact us to learn more about the benefits of the Toyota Hybrid Battery. You can call 888-968-5005, fill in the form on our website or even visit us in our Oregon base. You can also subscribe to our e-mail announcements service to stay up-to-date with the latest news. Find out more today by visiting www.bumblebeebatteries.com.